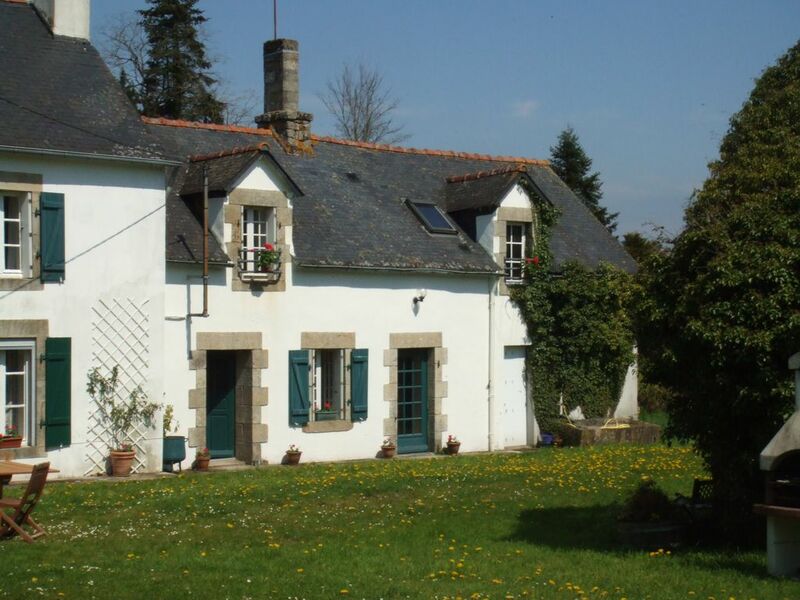 Set in beautiful countryside, this traditional Breton farm has both rustic charm and comfort providing a space that will be enjoyed by children and adults alike. The swimming pool has a cover that means it can be used even when the weather isn't conducive to outdoor swimming, and there is plenty of space for getting rid of that excess energy! The 4 acres of gardens are safe for children to play in, as there is no passing traffic, with the farm being at the end the road. Each property has it's own garden furniture and bbq for outdoor eating. The river Odet is nearby, and there are lovely walks all around the farm. Sam and I purchased Kerespars when our children were very small and we have all grown to love it and use it for all our special family events. We spent our working lives running a deli, wine shop and café in London, and found a wonderful refuge from our busy lives in Brittany. Now being retired we try to spend more time here, but have decided to let it out when not there and hope that you will love it as much as we do. We found Kerespars while camping in Brittany, and our explorations brought us to this very beautiful and rather wild part of Brittany. We have lovingly restored the Farmhouse and Cottage and have converted a barn, making a family home that is both comfortable but keeping it's rural rustic charm. Since owning it, we have built the swimming pool, so adding to it's many attractions. Kerespars provides a wonderful space that is fantastic for family holidays. There is plenty of room for people to socialise together, or find places for peace and quiet. Apart from the occasional farm vehicle, there is no traffic and the sounds are of birdsong and nearby animals. Vielle ferme certes, mais photos ne correspondant absolument pas à la réalité. Pièces froides et humides. Aucun charme ne mise en valeur des locaux. Alentours mal entretenus. Autour de la piscine, sol très sale. Meubles de jardins cassés et vernis écaillés.